Boots may be a necessity for you or just a great way to enhance your sense of style. What people often find though is that boots don’t usually fit well initially. Instead you have to stretch them out. Before you do so though you need to make sure they are a good fit in regards to both the width and the length of them. You can stretch them all you want, but if they don’t fit well to start they aren’t going to get any better in those areas. Once you have found the right boots and checked that they do fit you can get to work with the process of stretching them. You want to do this before you wear them for the day or you will end up regretting it. 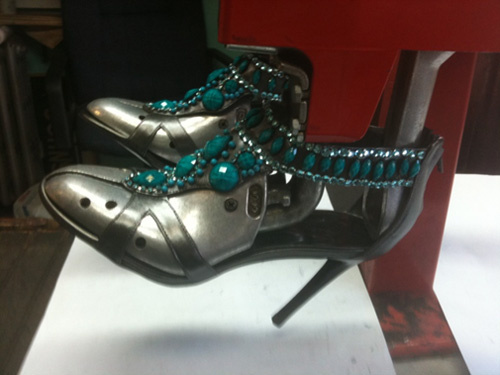 You may be tempted to wear them immediately when you buy them but your feet will suffer for it if you do so. 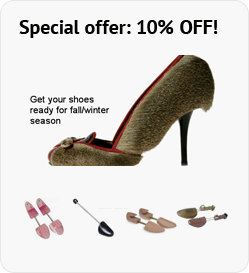 You should be able to find a quality stretching shoe repair for the boots at the same location where you buy them. In order to get the best results you want to keep the stretching tool inside of the boots for at least 24 hours. If you aren’t sure how far to stretch them you should you should consult with shoe master. You can always repeat the process again if you want more room than it was developed. Bay Ridge, and he did it, now shoes feet me perfectly, also I recieved an advice from him, for protection of my new soles and heels. I agreed and my shoes were ready next day.